What is Acoustic Resonance Therapy? Acoustic Resonance Therapy creates an environment for the body to experience the benefits of sound and vibrational healing by stimulating our sense of feeling. 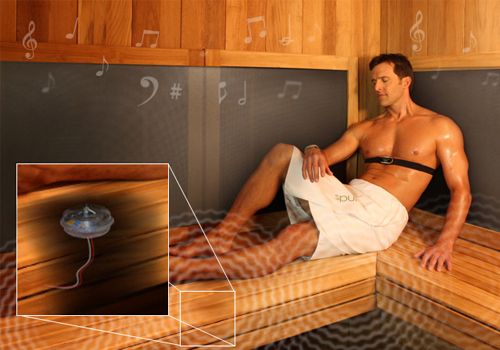 It combines the healing effects of sound and vibration to harmonize all systems of the body, bringing you to a deeper state of relaxation. An amplified audio signal resonates sound waves through the bench of the unit. Listening to soothing music and feeling it resonate throughout the body stimulates the body’s natural relaxation response. It feels like a light touch massage during your session. Book your Sauna Session Here!